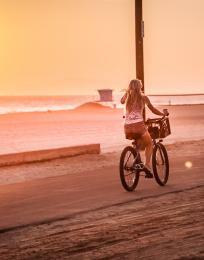 Once in Huntington Beach, live like the locals: the best way to get around is either on foot or by bicycle! Bike rentals are available at all four oceanfront properties, or along the entire paved 10 mile/16 kilometer ocean boardwalk at any of the concession stands. 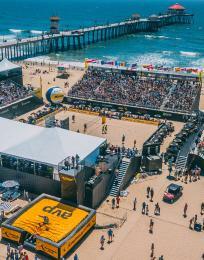 The Surf City USA Shuttle will also be operating year-round beginning late Spring 2017. If your clients have rented a car, there is ample parking available throughout Downtown, within Pacific City, at all beaches, and within the neighborhoods. For more information, please visit the Directions, Transportation, and Parking page of our website.